The book series "Elephant and Piggie" by Mo Willems is one of my kids' favorites! The two lovable characters are funny and entertaining, and teach wonderful lessons about life and friendship. 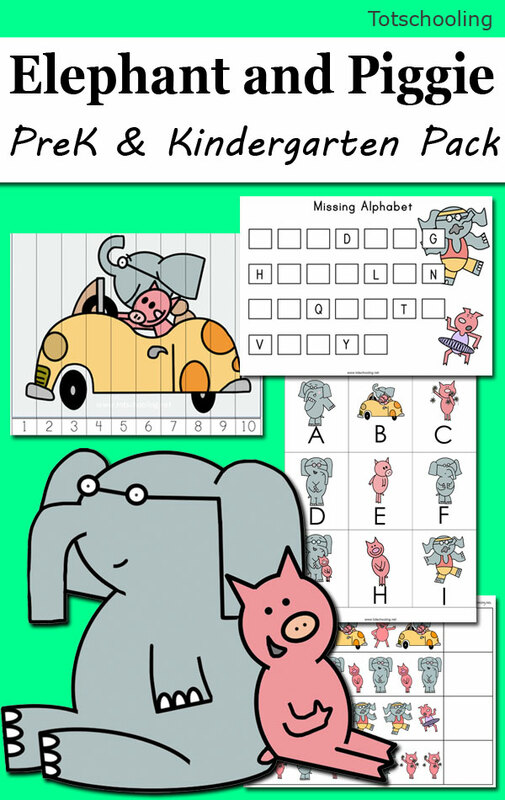 Use this FREE printable pack for preschool and kindergarten kids to practice math, literacy and fine motor skills with the Elephant and Piggie characters! Among the many reasons to love the Elephant & Piggie books, our #1 reason is that they're easy for beginners to read on their own! The books have large print, short sentences and mostly easy words - with some interesting (silly) words thrown in! Elephant and Piggie books, as well as Dr. Seuss books, are great confidence boosters for when your kids are starting to read on their own. 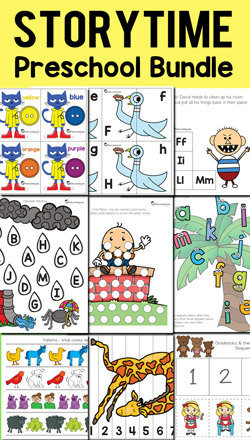 Then, be sure to use our Free printables to extend the learning with fun activities! Thank you we just started this series and are excited to try your pack! !